Perth Playback Theatre was founded in 1982 and continues to perform in Perth and tour regional WA. The Company is a member of the International Playback Theatre Network which fosters training, research and new developments in interactive theatre. ORGANISATIONS – playback is a platform to explore current issues within your organisation. This can include training situations, organisational change and developing leadership, or celebrating together for a social event. We help you deal with not knowing, being comfortable with ambiguity, innovation, the differences between the generations and the acceptance of a range of opinions as valid. SCHOOLS – Playback performs with staff, students or the whole school community. We often focus on special events, or programs like bullying, improving communication, teacher development. Playback also runs workshops for students and staff to learn more about how to use our techniques for reflection, positive criticism and communication. COMMUNITY – Playback works with communities to offer a vehicle for the discussion of community issues, a means of celebration and of acknowledging contributions to community life and helps to strengthen community ties through communal sharing of personal stories. CONFERENCES – Use Playback to explore your conference theme. A Playback performance explores the conference theme. Sometimes a playback performance is a great way to kick off a conference, warming people up to each other’s issues. Playback can also be used at conference mid-point to create more fruitful interactions. Alternatively, Playback can help end your conference on a high note when used as a tool for encapsulating the experiences of the conference, reinforcing its motivational effects and lessons. Our members come from all walks of life. A Playback Actor, Musician or Conductor is a ‘citizen actor’, so not necessarily a professional full-time actor or musician, though some of our current members are. Our philosophy encompasses the notion that we are more likely to build rapport with our audience if we have similar life experiences in a range of careers and work-life situations. Arlene joined the Perth Playback Theatre company in 2013, becoming part of the management committee in 2014. She has held the position of Director since August 2015 and coordinates, conducts, acts and accompanies the performances with signing and music. She attended Playback Theatre Leadership 2016 – Level 4 training with Jonathan Fox, co-founder of Playback Theatre, in Taiwan July 2016. She is part of the working committee for April 2017 Playback Theatre Gathering in Tasmania. She brings over 35 years’ experience in communication and personal development, workplace and organisational development, leadership, learning and development project management, business coaching and education. She values integrity, human connectedness, promotes and facilitates human capital productiveness. A professional speaker, Arlene is known for the way she inspires and promotes the potential in others. Arlene works intuitively with her clients to establish their key areas for using Playback Theatre and journeys with them to success. She has an eclectic style developed over many years of coaching and training that offers conversations that are value-based. Bec is our roaming member, based between Broome and Margaret River. She has been an actor, musician and conductor with Perth Playback Theatre Company since 2009. She brings an animated, original, lyrical quality to the team and performs with generosity, intimacy and humour. She is very passionate about Playback. Some highlights of her Playback theatre experience and training include: Fairbridge Festival 2016 & 2015, touring in regional WA on the One Life Suicide Prevention Playback program, two years with Paperbag Playback Theatre Co. in Sydney, facilitating at the Australian Playback Theatre Gathering 2010, participating in the international 10-day Playback Intensives of 2006 & 2007 with Christian Penny and Bev Hosking (NZ). Bec also holds a degree in teaching and community theatre. She has a deep passion for the ritual of storytelling as a way of building listening, community and connection in the world. She lives and travels with her husband, three children and their old dog in a big blue truck that runs on solar, wind and waste vegetable oil. Bec is a bush woman/nature guide along the Cape to Capetrack in WA’s South West. She performs in a successful musical duo with her husband Dave Mann and home schools their three children. Irma is currently the Co-Artistic Director (with Nichola Renton) for Perth Playback Theatre Company. She has been an active member of the independent theatre scene in Perth, playing Finley Award nominated Sophie in “Amigos” (2008), Karen in “Burnt Piano: (2009), Olive in “The Odd Couple” (2011), Kate in “After The Ball” (2015). In 2018 she played Bottom in “A Midsummer Night’s Dream” for the Rockingham City’s Shakespeare in the Park. 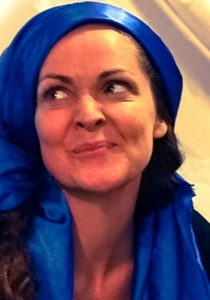 This year (2019) sees Irma’s return to the FringeWorld as Jen in “The Chook House”. Her past roles at Fringe have included Trixie in “Eat The Cake” (2017), Perth Playback Theatre actor in “#nofilter” (2018) and she wrote, directed and performed “I Didn’t Sign Up For This” for the Blue Room 600 Seconds season in 2017, gaining her a place in the Best Of Showcase. She directed Tilikum’s Music Video “Kings Men” (2018). 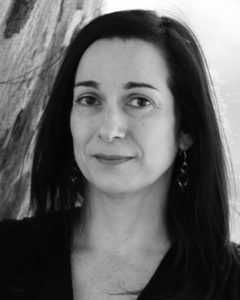 Irma is an experienced Drama Teacher (Maida Vale Primary), Sessional Drama/Education Lecturer at Edith Cowan University and Teacher/Director at “The Actors Workshop”. Jonathan has been with Perth Playback Theatre as our principal musician since 1997 and is the longest standing member of the company. 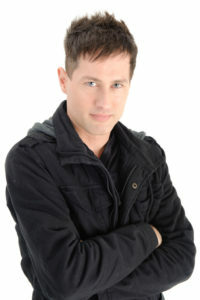 He is a successful freelance composer and has a reputation as one of Perth’s most innovative composers writing many works for mixed media, dance, theatre and concert. He holds MA (WA Performing Arts) from Edith Cowan University in the field of music, dance and technology, and has taught at all of Western Australia’s tertiary institutions. Jonathan has collaborated with choreographer Chrissie Parrott since 2003, making music, video and animation for and about dance. 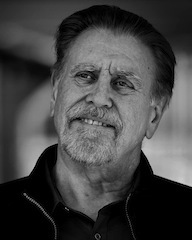 He has been nominated, and won awards including the first Don Banks Memorial prize for composition in 1981 (NSW Conservatorium of Music) and Outstanding Achievement in Composition (Ausdance W.A.’s 2008). 2016 saw Jonathan collaborating with award-winning photographer, Martine Perret, on ‘Ngala Wongga’, an exhibition/installation featuring some of the last remaining speakers of indigenous languages in WA’s goldfields area. For this exhibition, Jonathan was designer of both sound and video of a 25-minute, multi-screen installation. The exhibition was premiered at the Goldfields Art Centre and in early 2017, will be remounted at Perth’s Central Tafe Gallery, before going on a prestigious regional tour. Jonathan also brings a wealth of Playback acting experience, and has held many committee positions to support the work of the company. Lis is a dedicated and intuitive actor, particularly interested in and open to the many different ways of developing and portraying a truthful human being on stage or screen. She is a strong improviser, a roleplayer for medical and security firms and a regular performing member of Perth Playback Theatre. After working for many years as a filmmaker, writing and directing both drama, children’s tv series and short documentaries, she moved into theatre, writing and directing plays staged in a variety of venues from bowling clubs to the Blue Room. Acting is where her heart truly belongs. She brings this to every Playback Performance, interpreting the heart and longing of the storyteller. Lis is a valued team member and takes a keen interest in the administrative work of Playback Theatre in Perth. Lis and business partner Lynda Butler are co-founders of Stella Theatre Company which brings live professional theatre to the venue of your choice. Manuela Macri (MA Dramatherapy, Grad Dip Expressive Therapies, BA Theatre) is a Drama therapist and Group Facilitator. She has extensive experience working therapeutically with refugees, families, children and young people. She worked for the Association for Services of Torture & Trauma Survivors for 7 years and is currently working with children and bereavement at Anglicare WA. She is a professional member of ANZATA (Australia & New Zealand Arts Therapies Association) and has worked as a volunteer in Tanzania. Manuela has been a member of Perth Playback since 2011 and is most interested in Playback’s ability to build self-reflection and understanding. Manuela is innovative and able to hold the acting forms used in playback with enthusiasm. She willingly shares her knowledge of playback, facilitation skills and is a keen mentor for both new and established Playback members. Jen has been a member of Perth Playback for over 4 years. She was part of the successful 2013 Port Hedland Tour, working on adult and children’s workshops and performances with the indigenous and CALD* communities. Qualified with an MA in Art Therapy, and registered as an art therapist, Jen now uses her special blend of art therapy knowledge and counselling with adults. She is a member of ANZATA (Australia & New Zealand Arts Therapies Association) and has lectured in digital video and communication studies at every Perth university. As a practicing performance artist, Jen has worked on many different media and had co-authored works. Jen now holds the treasurer’s position at Perth Playback Theatre. Nichola Renton: BA Honours Theatre and Drama Studies from Murdoch University in 1998 and Dip. Ed. from Notre Dame University. 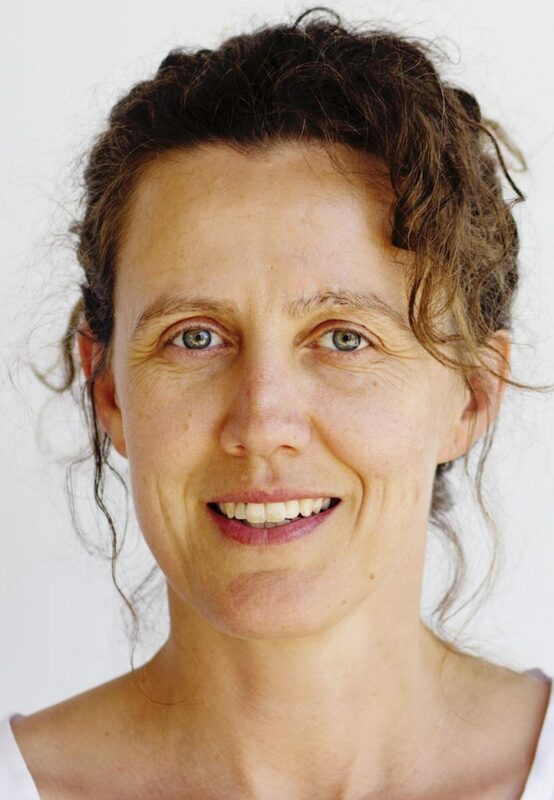 She is actively and passionately involved in the Performing Arts in Western Australia, where she works as an actor, improviser, teacher, writer, director and producer. Some of her most enjoyable projects include representing Perth in the International Rose of Tralee Competition in Ireland and David Williamson’s play FACE TO FACE with Pert Theatre Co in the Perth International Arts Festival, which also toured country WA and South America! In 2013, she played her favourite role to date, Blanche DuBois in A Streetcar Named Desire winning the WA Equity Guild award for Best Female Actor 2014 for her performance in this. In 2014, she directed Flushed, by Clarie Bowan and produced, directed and starred alongside internationally recognized Mime and Improvisation specialist Caspar Schjelbred, in the sell-out show, The Square of Sevens. She performed in the highly acclaimed Concussion at the BlueRoom and has completed filming Lola and Luis, written and directed by the internationally recognized Miley Tunnicliffe. She is proudly a member/actor of the Playback Theatre Company in Perth. Tammy Bux is a strategist by day and storyteller by night with more than twenty years’ experience in higher education and marketing communications. Her life-long love affair with French language and literature earned her a first class honours degree from the University of Western Australia and a scholarship to teach English in the Loire valley town of Tours in 1990. Tammy began training with Perth Playback Theatre in early 2017 and was inducted as a member in September 2018. Her first performance with Perth Playback was to a sold out audience on the theme ‘Amore’ at Ambrook Winery in the Swan Valley in October 2018. She is passionate about encouraging people to celebrate their challenges and triumphs through storytelling. She has spoken on the TEDxFremantle stage, as well as making several appearances at Barefaced Stories and was named storyteller of the night at Stories from the Heart (SFTH) in July 2017 and won first prize at the SFTH Story Slam in June 2018. Tammy loves how sharing stories allows people to open their hearts and minds and truly connect with one another. 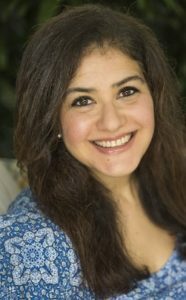 She has a deep and abiding connection to her Pakistani heritage having spent childhood holidays nestled in the embrace of her large family there. Captivated by the stories of her ancestors, who hail from the fabled Himalayan foothills of Kashmir, she continues to unearth tales about their past adventures. ted workshops at the National Playback Conference in Sydney, where his skills as a facilitator were recognised and developed resulting in his engagement as Artistic Director of Perth Playback in 2011. During the three years in this position, he designed and facilitated a number of different workshops for adults and children to explore their creativity, which we usetoday as the basis for many of our current workshops. He toured with the company to Port Hedland in 2013, co-conducting workshops and performances for young kids, teenagers and adults. Whilst stepping away from administrative roles to pursue his busy acting engagements, Zane remains an active member and one of our most skilled performers. Ron is passionate about all aspects of acting – film, stage and everything in between. His first attempt at acting was at age 10 when he wrote, directed and starred in a school play. 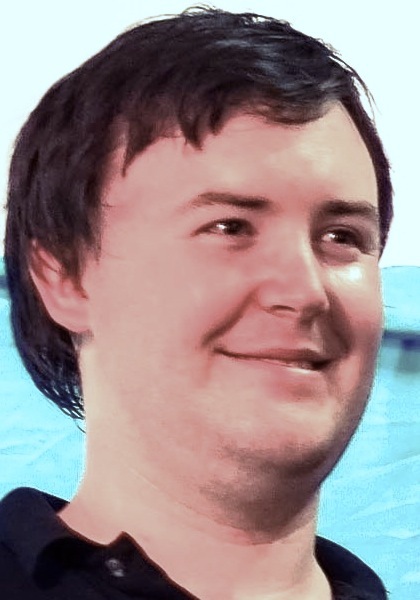 His first adult public performance was as Julian Culvert in Kenneth Horne’s “Wolfs Clothing”. Ron has now appeared in over 200 stage productions in Australia and the United Kingdom. 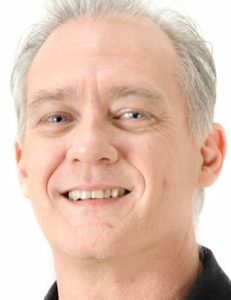 Ron loves to help local actors by coaching and preparing them for monologues and general acting skills and runs a script reading workshop. Since mid-2013 Ron has appeared in over 70 local film & TV productions including 9 feature films. Ron can be seen in “Red Hood: The Fallen” as Carmine Falcone, “Kevin & Kevin”, “Tainted Getaway”, “Eleven Days”, Roger in “Broken Contract (2018)”, Moshos Rigetti in “Black Ghost (2018)”, as Alfred Pennyworth in “Batgirl Returns”, award winning “Legendary” as Harry, “Avalon Park” and the Cleaner in “Toxic Obsession”. Ron says “It’s all about the audience connection, I love entertaining people to help them attach to their emotions. I see it as my job to give people an experience and a memory that stays with them long after the production ends. I have massive fun doing my passion. Lisa Evans is a Professional Speaker and Certified World Class Public Speaking and Storytelling Coach, Speechwriter and TEDx Speaker/Coach. Lisa has spent more than 20 years working as a Midwife. A life-changing event led to Lisa having to learn to hear and speak over again using the wonderful gift of a cochlear implant. Lisa then left her Midwifery career to discover a new purpose and a new voice. 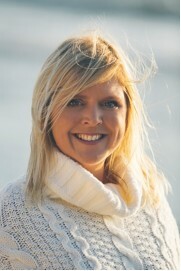 Now an award winning inspirational speaker, she is founder/director of ‘Speaking Savvy’ and ‘Stories From The Heart’. Lisa helps people across the globe to create powerful speeches that leave a memorable message. Lisa began Playback in 2015 to expand and continue her journey of creativity and self-expression. Anastasia Studied Broadcasting at the Western Australian Academy of Performing Arts 1997-’98. She travelled Internationally using Voice Over and Commercial work to fund her travelling adventures. She is an active member of The Actors Workshop Perth since 2014, teaching drama workshops to Primary, Teen and Adult classes and collaborating on tailored projects for corporate clients. She has participated in four productions for Perth’s fringe festivals in sell-out shows for the Actors Workshop and Perth Playback Theatre. Anastasia has performed in U.W.A’s “Shakespeare 100 Festival”, voiced a trilogy of children’s books, coaches fellow actors for auditions and upcoming roles, especially in the area of accents, has been employed for role-plays during The University of Notre Dame Psychology student’s examination days and as an improvising storyteller for children, a roving street performer and a character entertainer for events with “Enchanted Stilt walkers”, “Enchanted Character Productions” and “High Voltage”.